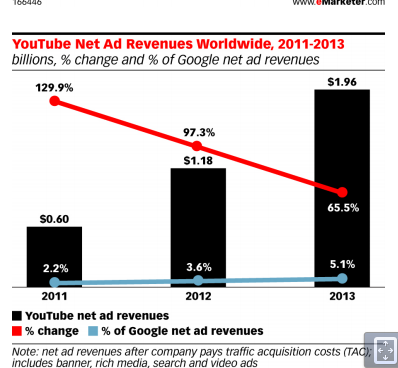 The chart from emarketer shows " How Youtube have been struggling to find a business model. 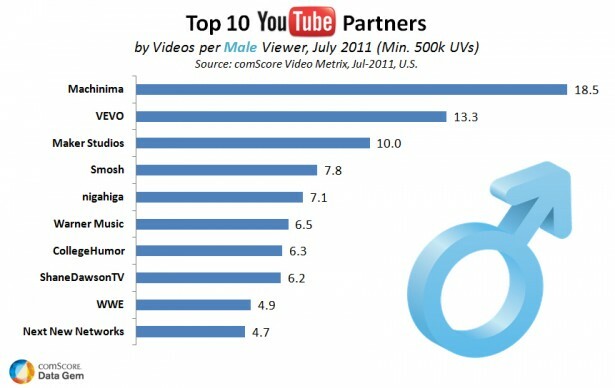 #Youtube net revenues have exceeded $1.96billion . 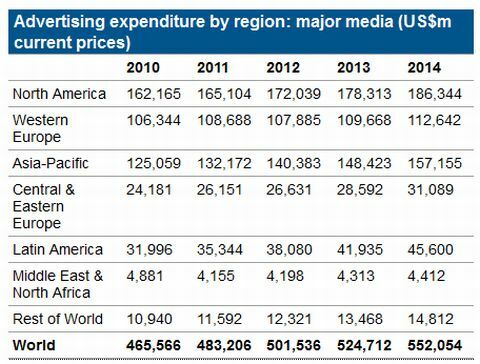 However Youtube makes up only 5% of Googles net revenues from online advertising . Clearly the potential of Youtube is still untapped . 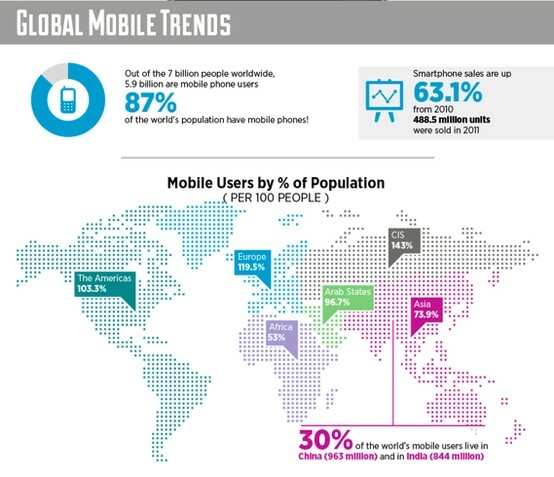 : "Worldwide, nearly 671 million people are into online gaming using desktop PC or laptop in with 145 million gamers playing on a daily basis. The number of daily gamers differs across the continents with an average of 47.9 million internet users in Asia Pacific accessing an online gaming site daily, followed by Europe with 45.6 million daily players. North America was third with 30.3 million internet users playing games on a daily basis whilst Latin America and Middle East – Africa complete the rankings with 14.9 million and 6.2 million respectively. 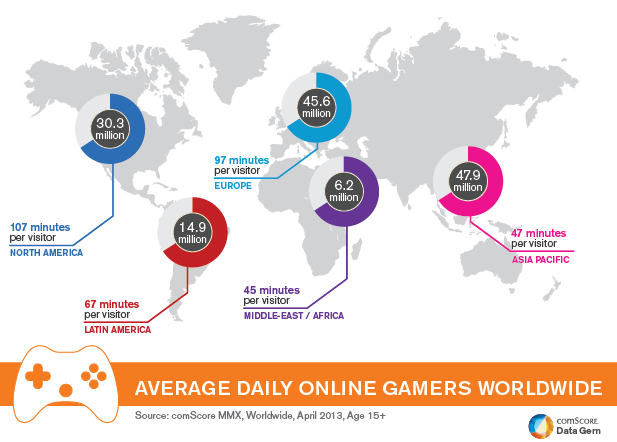 The time spent by online gamers across Nations varies widely '. North America had the most avid online gamers as each visitor spent an average of 107 minutes, whilst European gamers spent 97 minutes and visitors from Latin America played online games for over an hour during the month (67 minutes). Global video gaming market revenue is worth around $101.62 billion. This makes the video gaming market worth 10% of the entire US media and entertainment market . 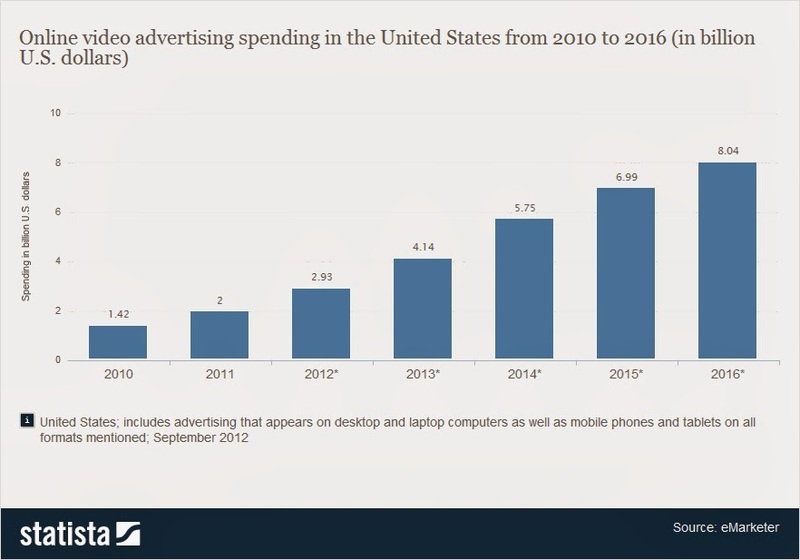 Meanwhile Online Video Advertising is projected to reach $8 billion by 2016. According to eMarketer, 5.75 billion dollars will be spent on online video advertising in the U.S. in 2014. YouTube One Channel Now Open for Everyone: YouTube has opened up its new design for channels, so far available only as limited beta, to all users. The YouTube One Channel, as it's called, gives users the ability to slap a big header (called Channel Art) on the top of their channels and to have a video trailer which starts playing for all visitors who aren't yet subscribed to the channel. The new Channel Art-adorned channels, YouTube claims, will look good on any screen size and any device. Users can also organize their channel videos and playlists better, having more control over what content subscribers see when they click on their channel.  To start with the new channel layout, go to https://www.youtube.com/onechannel and upgrade your channel to the new look by clicking on the button on the bottom of the page. comScore Video Metrix recently announced the availability of YouTube Partner Reporting, providing a never-before-seen look at viewership across hundreds of YouTube partners and their channels. This enhancement will undoubtedly have advertisers and agencies asking important questions like: Which YouTube Partners are driving the most video viewership, and what are the demographics of those video viewers? Of the many metrics available in Video Metrix, “Videos per Viewer” offers a strong indicator of viewer engagement, providing the average number of videos that were consumed by a target audience in a specific time period. 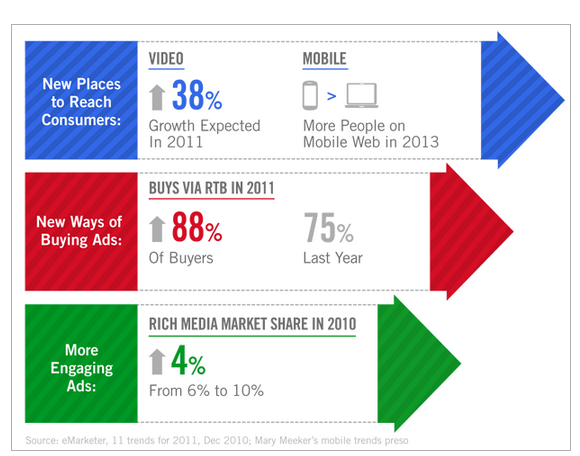 Simply put, the more videos a user watches, the greater the opportunity to reach them with ads.